About: Dr. Hollifield’s studies media management and economics, and media in economic development. She teaches undergraduate and graduate courses in media economics, management, and organizational theory. Her research focuses in two areas: media management and economics, and the effects of media and communication systems on the wider economy. Her media management research has included studies of change management, the effects of media ownership structures on content, and the management of transnational media companies. Her research on the effects of media and communications systems on the economy has included studies of the economic goals of the U.S. national and international communication policy, and the effects of international copyright law on the economies of developing nations. However, much of her work has emphasized the use of telecommunications for economic development in rural communities. That research has examined the effectiveness of different types of community development projects; the relationship between community telecommunications development projects and local adoption of new technologies; and the individual factors that influence decisions to adopt communication technologies among rural residents. Her areas of specialization include media and telecommunications ownership, management and economics. 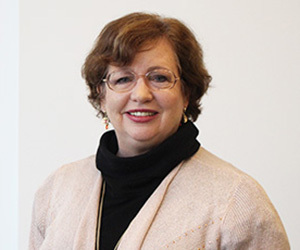 She teaches courses in telecommunications management and programming, advanced telecommunications management, and graduate seminars in media management, economics, and organizational theory. Hollifield has worked as a reporter, anchor, news producer and documentary producer in television, and as a reporter and editor in the newspaper industry. Her professional media career included positions as managing editor of Business First Newspaper in Columbus, Ohio; documentary producer, public affairs programming producer, and news magazine producer, reporter and anchor with Public Television in the Pacific Northwest; and reporter, news producer and anchor with the ABC television affiliate in Spokane, WA. Hollifield was named a Senior Policy Fellow with the Voinovich Center for Leadership and Public Affairs in Ohio for 2001-2002. She has been the recipient of an Ameritech Faculty Research Fellowship, a Robert Bosch Foundation Fellowship, a Poynter Institute Fellowship in Media Management, and a Kiplinger Fellowship in Public Affairs Reporting.